The katana, a Japanese sword popularized in the West by the legend of the Samurai, and by depictions portraying the stoic Japanese warrior taking on foes much stronger than him, has become a coveted item for any martial arts fan’s collection. The same goes for a machete, which has enjoyed a globally popular status through the centuries. But practically speaking, the machete vs katana debate isn’t just about which one looks cooler and meaner (aesthetics after all, won’t play a role beyond décor and symbolism, when it comes to a weapon). You’ll need to carefully assess the features, applications and limitations of each weapon before deciding which one will suit your needs best. 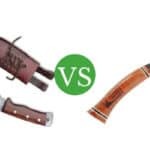 That’s the purpose behind the writing of this in-depth comparison between a machete and a katana – it’ll help you make a sensible choice without having to consult multiple sources and experts. The katanas were one of the traditional Japanese swords (referred to as nihonto) worn by Japanese samurai during the feudal era. They have a distinct appearance: a slim, curved blade with one edge blunt and the other sharp, and a relatively long handle to enable double handed wielding. The handle and the blade are divided by a square / circle guard. The machete is an affordable and popular tool / weapon that resembles a really short sword, or a really long knife, that is used primarily as a chopping and hacking utility. The machete has many different types, which have evolved in different regions of the globe over the centuries, each having its own strengths and drawbacks. Blade length: Depending on the era of construction of the katana, the length of a katana can vary between 23.5’’ to 28.5’’. Blade thickness: The katana generally has a blade around a quarter inch thick at the blunt edge, which ultimately tapers down to the sharp edge, after remaining flat on both sides of the blade for a certain portion of the distance from the blunt to the sharp edge. Blade tip: There are several different types of blade tips, however, all of them are curved and end in a sharpened point which makes the katana ideal for swift stabbing / piercing. Blade material: Traditionally, a katana has to be made from some sort of tempered carbon steel. You may come across ultra-cheap katanas made from stainless steel these days, but they have no value in the field. Handle: The handle of the katana, called the tsuka, is long, so as to accommodate the dual handed grip required to wield it. To enhance its grip, it is wrapped with ribbons of materials such as cotton, synthetic / genuine leather, synthetic / genuine suede, or silk; this is traditionally called the tsuka ito. Blade profile: The blade of the katana has a relatively short length, as far as swords go, and is moderately curved, as opposed to the more pronounced curve of the Japanese blade it evolved from, the tachi. The katana’s blade has a distinct line along both its sides, known as the hamon. The hamons of each katana are different, and each master smith will have a different hamon style. Price: The price of a katana in today’s market ranges from $30 to $3000 and above. You will be hard pressed to find a workable katana at a sub-$100 price point. 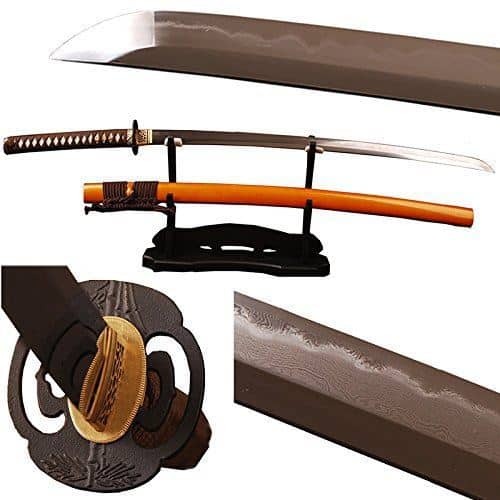 Most katanas in this price range are made of stainless steel, and are ornamental at best. A practical katana will set you back by at least $200 and this won’t even be the best or most reliable type. To get an authentic nihonto katana, you should be prepared to splurge around $2000 – this type of katana will be hand-made in Japan by a master smith. Blade length: Machete blades vary between 10 and 28 inches in length, averaging at about 14 inches. Blade thickness: The thickness of a machete blade ranges from 1/8th to 3/8th of an inch and varies from type to type, and also within a particular type. Blade tip: Most machetes have a blunt tip, which may also be thickened (a forward weighted blade), to enable heavy duty chopping. 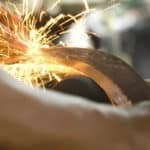 Blade material: Machete blades may be made from carbon or high carbon steel, as well as stainless steel (which is the cheapest and least reliable). Handle: The handle of a machete won’t have much protection to offer to the wielder normally, and could be made from ivory, plastic, rubber, wood and Micarta. The quality of the grip depends on the material used, with Micarta offering an excellent grip for the longest period of time. Blade profile: In general, machete blades have considerable width between their edges, which may both be sharpened. The blade can have a uniform weight distribution, or a forward weighted one. 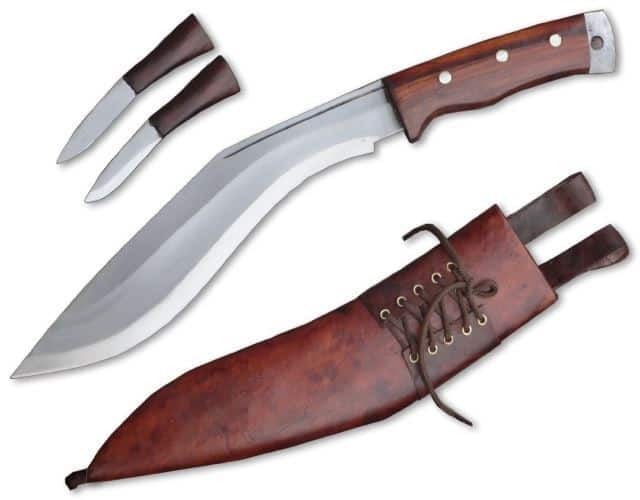 Price: Because of their relatively simple manufacturing process, machete prices don’t normally exceed the $200 mark (for the highest quality ones). You can find a reliable practical machete in in the sub-$100 bracket quite easily. The katana originally became popular for its swift cutting action that made it deadly in combat, a fact attested by Western historians too. This still holds today: it will be hard to find a better cutting blade than the katana. The tip of the katana also makes it great at slashing, piercing and stabbing maneuvers. As such it is used in many martial arts styles including battojutsu, kendo, kenjutsu, ninjutsu and so on. Because the katana is such a great cutter, it also lends itself to backyard usage, where you can use it to clear grass and thin brush. The rough and tough construction of a machete makes it great at chopping and hacking applications that require more brute force than precise cutting. The thick, short blades result in powerful strokes that can clear tough, dense plant growth, and even cleave through flesh and bones, should the need arise. 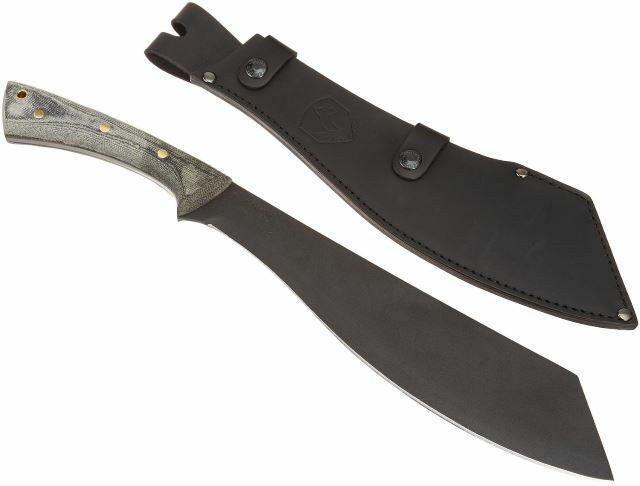 In short, the machete’s design is ideal for survival applications where you may require a simple and effective weapon for self-defense; or a durable, easy-to-use utility blade. Katanas are traditionally crafted from a special layered Japanese steel known as tamahagane – each layer of this steel will have varying carbon concentrations. The smith folds and welds pieces of low and high carbon steel multiple times to remove the impurities, resulting in a billet of tamahagane. 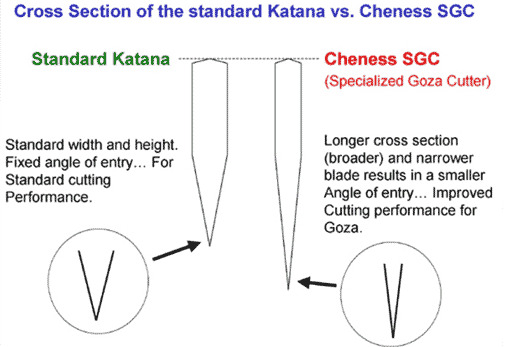 The curve of the katana is achieved through differential quenching or differential hardening, the same process is responsible for the hamon of the katana. After the forging of the blade, it is polished – a process taking 1 to 3 weeks, after which the blade will have a reflective finish. Traditional machetes were crafted by hand, using tempered carbon steel, which made them quite valuable tools. Even now, handmade varieties of certain types of machete e.g. the kukri can be found in the market. More recently though, they are manufactured using industrial machinery that can press them out in large batches after which the handles are glued / riveted to the tang. This has brought down their price significantly. 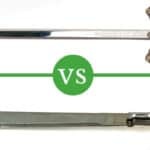 Thanks to the simple hack and chop philosophy behind the machete, batch manufacture does not affect its performance, as it would an intricate sword such as a katana. The rudimentary design also means that even when the machete is a handcrafted one (these tend to be the highest quality), it won’t exceed more than $300 at most. It cannot be denied that the katana is an excellent sword that is still relevant to close quarter combat today. 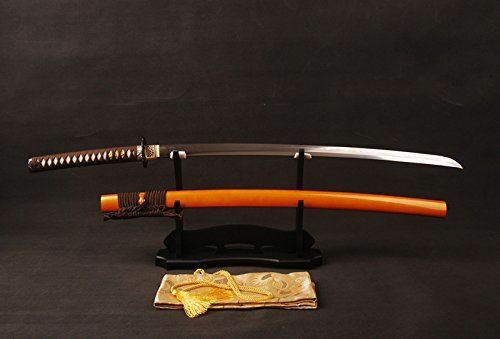 However, because of its length and unique design, wielding it effectively requires training and practice in one of the Japanese martial arts that employ it. The length of the katana, and its two-handed grip, mean that you can’t use it outdoors to clear thick vegetation and cut wooden branches for long, because it will tire you out. While its blade is certainly thick and made of strong, tempered carbon steel, it can still get permanently damaged if you try to use it for rough applications such as chopping wood, because of the v-taper of the blade. The katana has to be handled and stored properly, and maintained regularly. This means you’ll have to store it in its sheath horizontally, with its curve facing down and its edge upwards, to ensure that its edge remains intact. You’ll also have to oil, polish and powder it to minimize rusting. In short, the katana’s design is suitable for combat and lightweight plant clearing, but only for a short while, after which it requires painstaking maintenance and adequate storage. This, along with the high cost of a decent katana means that it isn’t suitable for the modern outdoor adventurer looking for a survival tool. In combat situations, machetes are quick and easy to wield, thanks to their short blade length – however this same feature means you’ll need to get really close to your foe to score a strike. 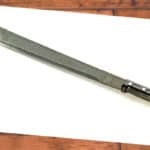 The blunt tip on most machetes also makes them useless as piercing weapons, however there are certain exceptions, such as the tanto style machete, which, incidentally, is inspired by a type of knife carried by samurai, alongside their katanas! Put simply, machetes can do considerable damage but leave you open to the same if you’re not careful. To summarize, katanas used to be excellent melee combat weapons that were hard to rival in terms of their cutting and slicing prowess. With the introduction of firearms, however, katanas, like most other swords, have outlived their usefulness in active combat / self-defense. Their long blades and two-handed grip make them hard to wield except in very specific situations, which is why they are useless from a practical self-defense standpoint. 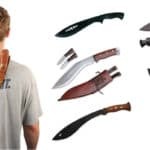 Machetes on the other hand, are short, easy to wield and pack quite a punch: as such, they are relevant to almost any close quarter combat situation you may find yourself in. Katanas may be useful to you if you want to do some lightweight glass clearing in your backyard – since, again, they are keen cutters. Anything more intense though (dense vegetation, chopping wood, culling branches), and a decent machete, with its tough, stocky blade, will be your best bet: the katana’s relatively delicate blade design would get seriously nicked, or even shatter, after you hit rocks a few times! This is besides the fact that the katana’s long blade would tire you out much faster too. From the cost perspective, the machete is unbeatable as a versatile survival utility, whereas you’d need to spend a considerably greater sum on a katana, and still wouldn’t be able to get all the practical benefits. In light of the analysis above, I would recommend the machete as the better all-in-one survival tool for you. Be sure to leave your queries and remarks in the comments section below.